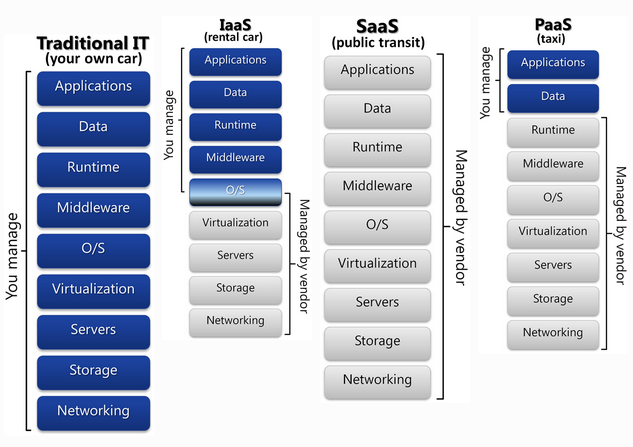 Interesting analogy – cars and types of hosted services (SaaS, PaaS, IaaS, other crazy acronyms). You can click on the image for a bigger version. This entry was posted in LIS Staff Interest and tagged cloud, hosted, saas on August 13, 2012 by Petar Mitrevski.